Any morning involving a wake-up call courtesy of a lopey-idling V8 has to be a solid start to a weekday, right? During a recent trip to Australia for a long-awaited visit to the Phillip Island Classic historic race event (as a spectator, I might add), I fielded a Facebook message from a mysterious gentleman named Andrew who’d caught wind that I was making the pilgrimage. The topic? Was I interested in a tour through the Harrop Engineering facility, nine kilometers away from the Melbourne CBD in the suburb of Preston. 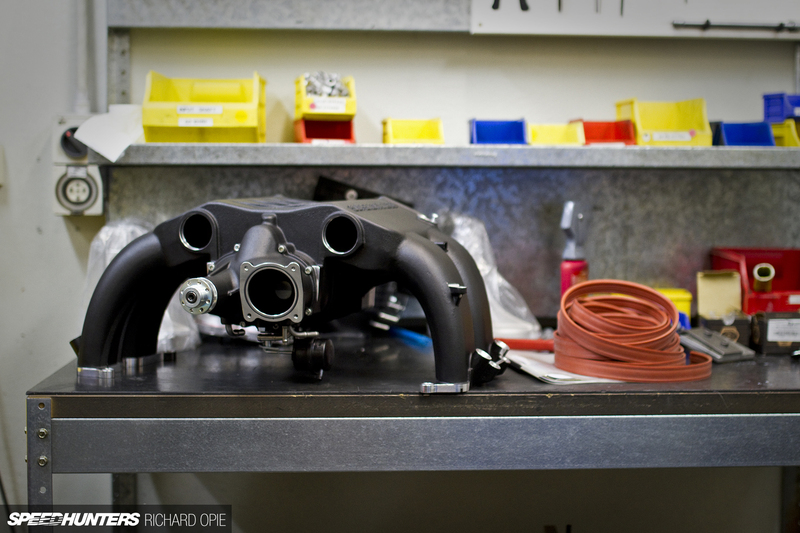 Having an interest in things that make cars go fast and how they’re made, it was a bit of a no-brainer for me. Being picked up from my hotel in Harrop’s supercharged Holden VF SS Commodore project car – a street machine knocking on the door of 10-second quarters – offered up a prime alternative to a triple-shot latte to kick off a Thursday. With a recalibrated 6L80 auto taking care of the 460kW (617hp) the LS3 V8 delivers to the treads courtesy of one of Harrop’s own FDFI2300 (front-drive, front-inlet) superchargers, the trip across was probably a bit short – but nonetheless interesting in peak hour traffic. 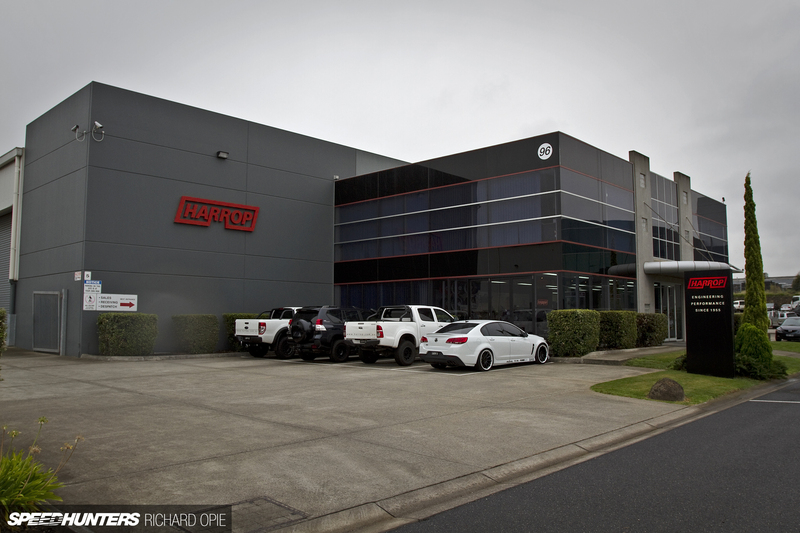 A short time later we arrived outside Harrop’s HQ and manufacturing facility. 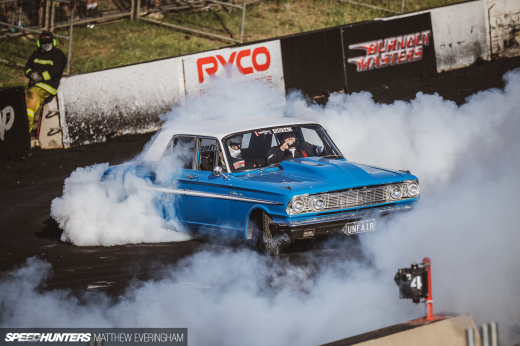 My personal exposure to the Harrop brand has been limited to enhancements for the Australian V8 market – namely the Holden Commodore and Ford Falcon that are so popular in the Australian and New Zealand automotive sphere. But upon meeting with General Manager Heath Moore, the diversity and capability provided by the company came to light. 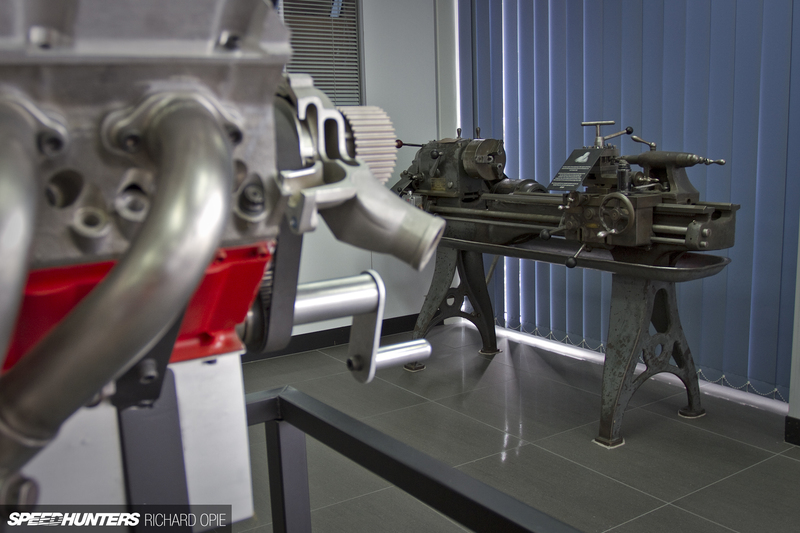 I guess a history lesson is in order first, something exemplified by a modest lathe on display in the main showroom. 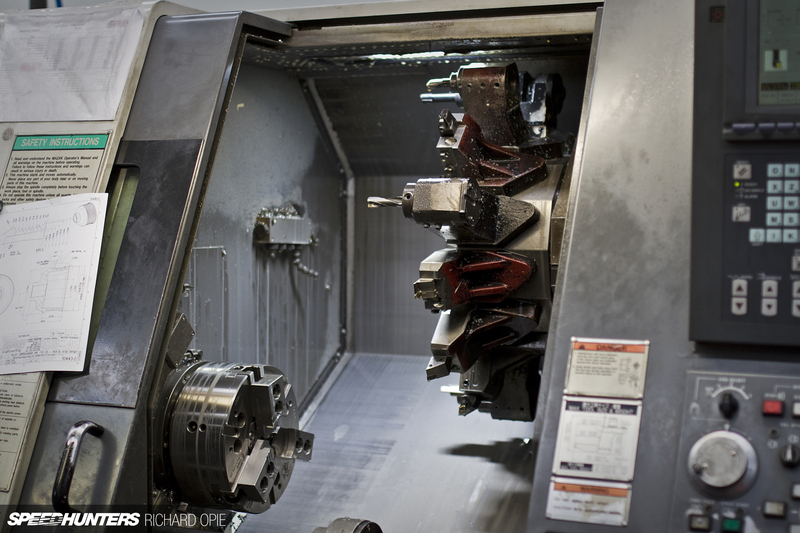 This was the very first machine tool purchased by Harrop Engineering. Founded in 1955 by Len Harrop, the firm began producing machinery for the textile market before expansion into machinery and heavy haulage engineering services. 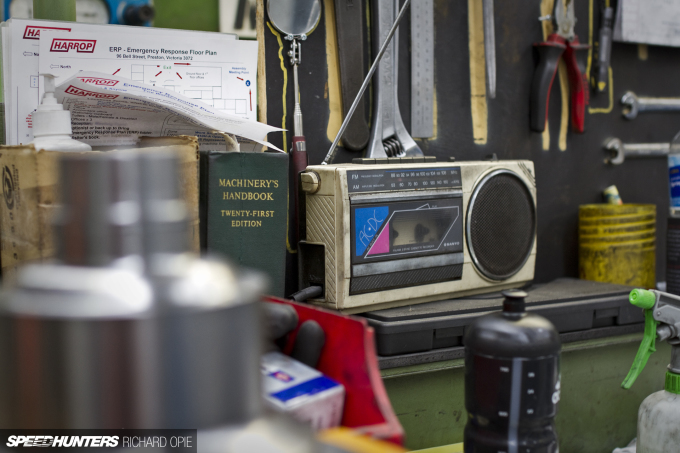 Come 1963, Len’s son Ron Harrop joined the company, bringing with him a passion for modifying cars, embodied in a now-famous FJ Holden known as ‘Harrop’s Howler’. 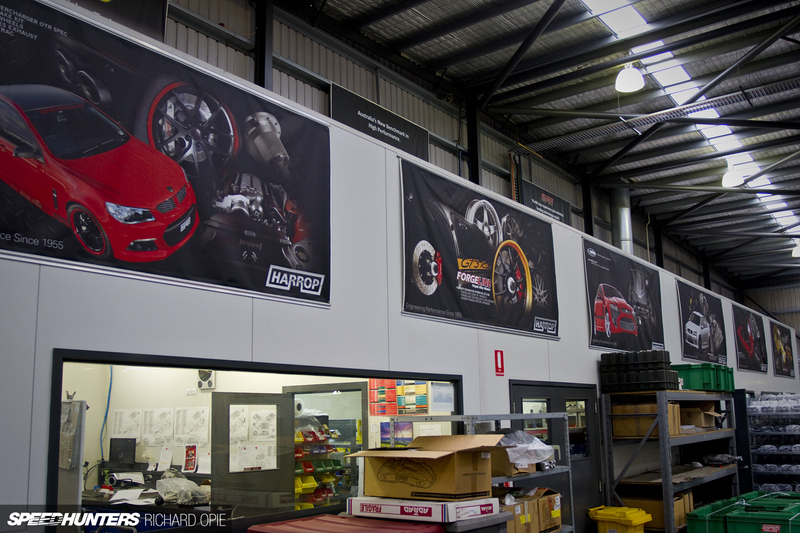 Close association with the Holden brand enabled Harrop to move forward with a solid focus on performance. Collaborations with the likes of the late Peter Brock and the Holden Dealer Team solidified Harrop’s position in the Australian performance aftermarket (including a strong presence in V8 Supercars prior to the Car of the Future formula), but in recent times the focus towards a more diverse offering has driven Harrop to provide solutions further afield. 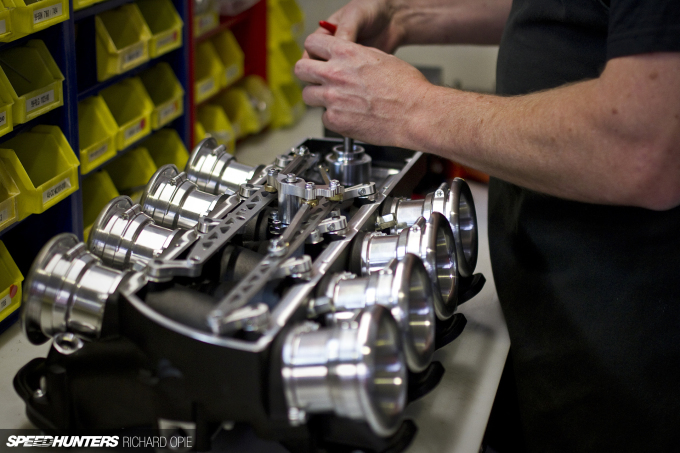 It was of course the Holden brand that really put Harrop on the map; these dual-plane inlet manifolds to suit Holden 308ci V8s proved wildly popular and still move out the door regularly even today. 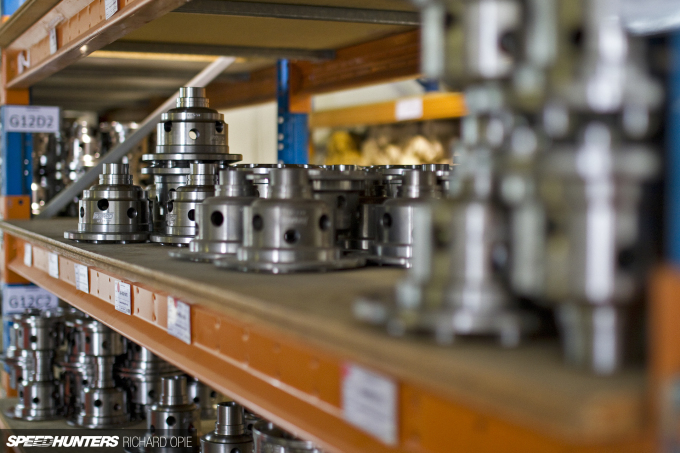 But among the performance driveline options littering the Harrop catalogues (as Heath puts it, “brakes, diffs and engine components”), it’s clear that the supercharging aspect of the business is something the team are immensely proud of. 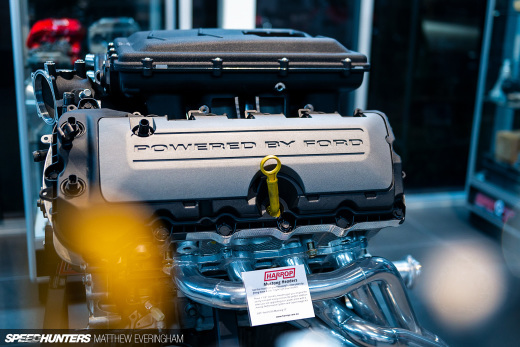 Heath openly admits that around six years ago the company identified a need to diversify and provide options additional to the V8-centric offerings. 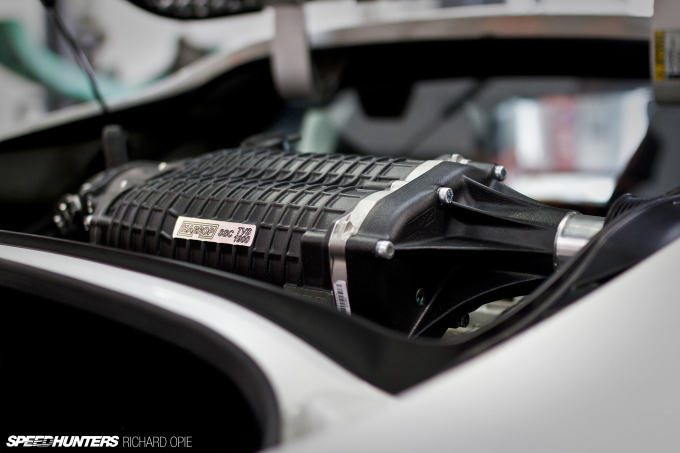 And what better way than to develop a comprehensive proprietary supercharger kit to suit the Toyota 86/Subaru BR-Z platform, a truly global platform with vast aftermarket potential. While the aftermarket is a strong facet of Harrop’s services, the low-volume OEM market is also a focus. 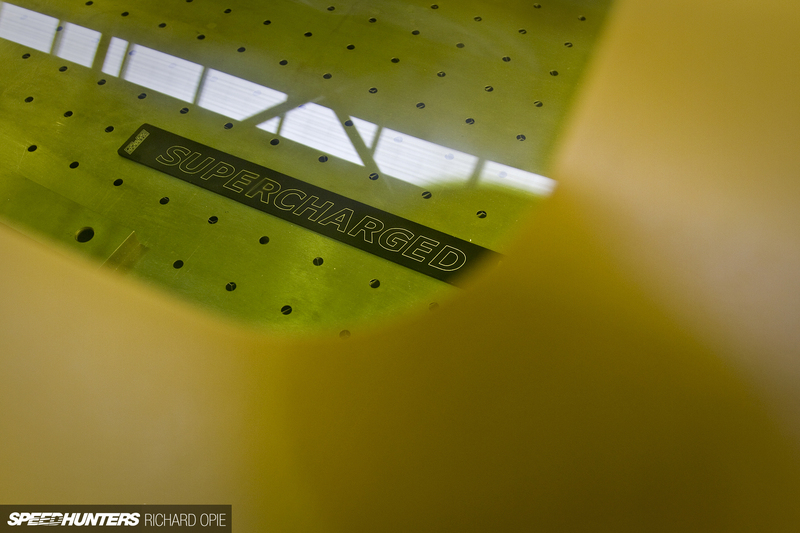 The company supplies superchargers employing Eaton Twin Vortices Series (TVS) rotating assembly technology for the likes of Lotus and its Exige and Evora models, as well as Ford for its XR8 saloons. 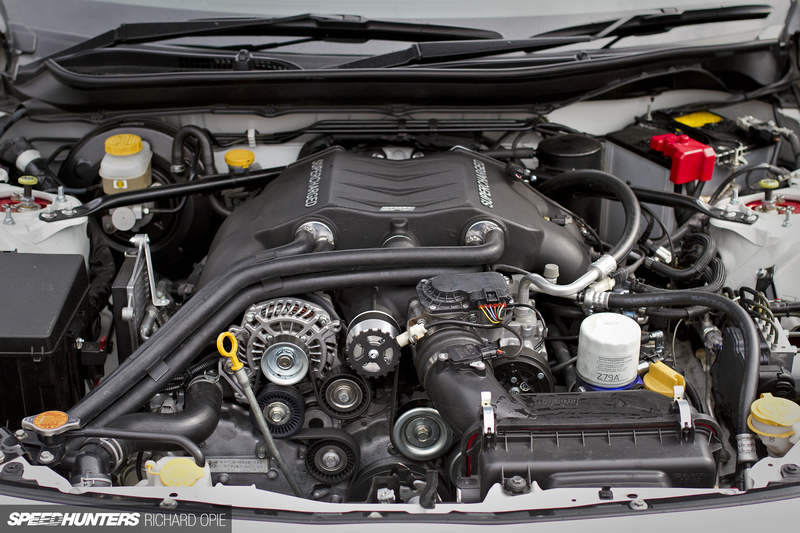 The shot above is actually an upgrade package fitted to a near-new Exige S, substituting the OEM Harrop 1320 blower with a larger TVS1900 unit boasting increased efficiency. 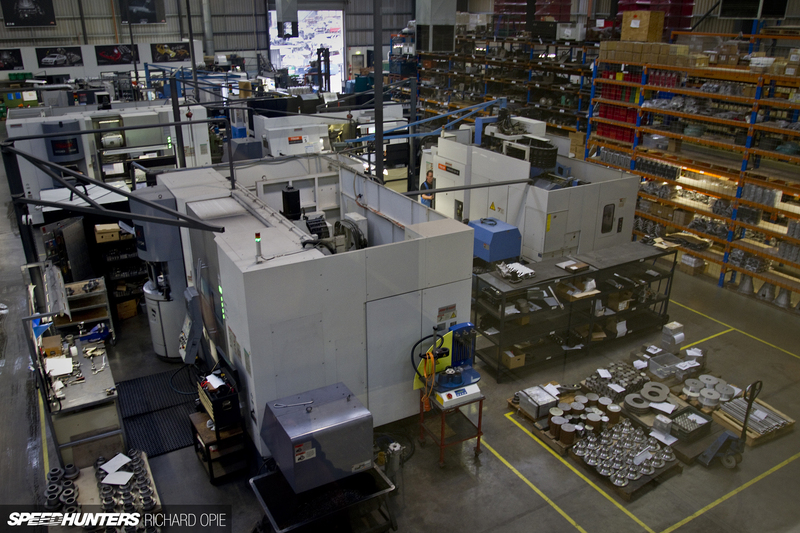 Almost every stage of the manufacturing process is handled onsite, beginning with the design offices upstairs taking idea to concept through to final machining, quality control and ultimately packaging and sending. 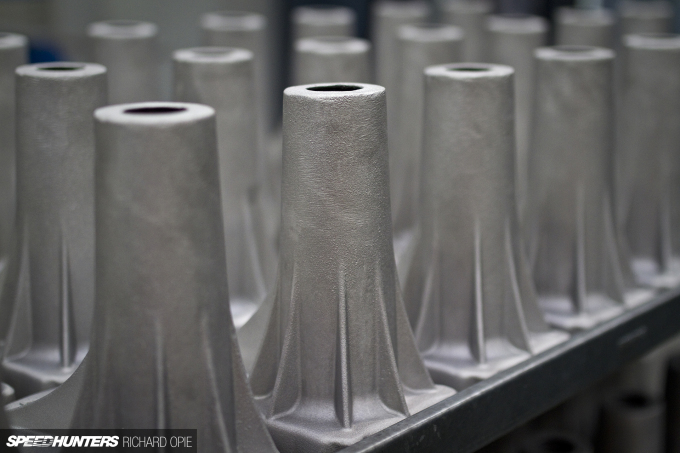 A foundry is also a part of the business, providing the raw castings; however this required a shift offsite from its previous location next door to the main facility, to keep up with capacity. Peering out above the shop floor, we donned the appropriate PPE in order to get a taste of what the coal face of Harrop Engineering was all about. 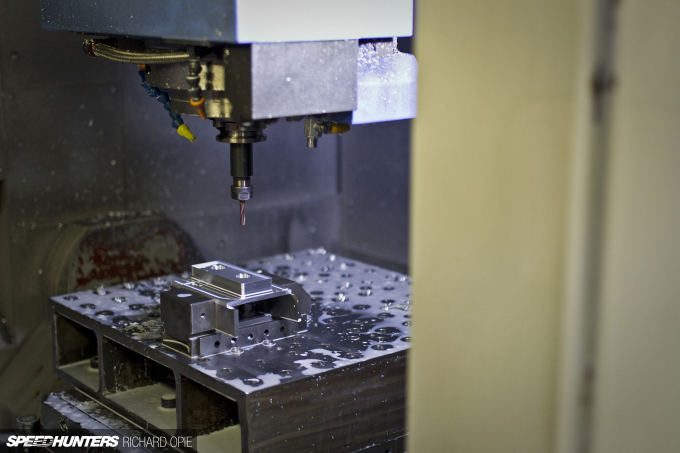 There’s something about CNC machinery carving away at lumps of metal to create beautiful components that’s intensely satisfying, so naturally the trip down the stairs was made in short order and the lessons commenced. 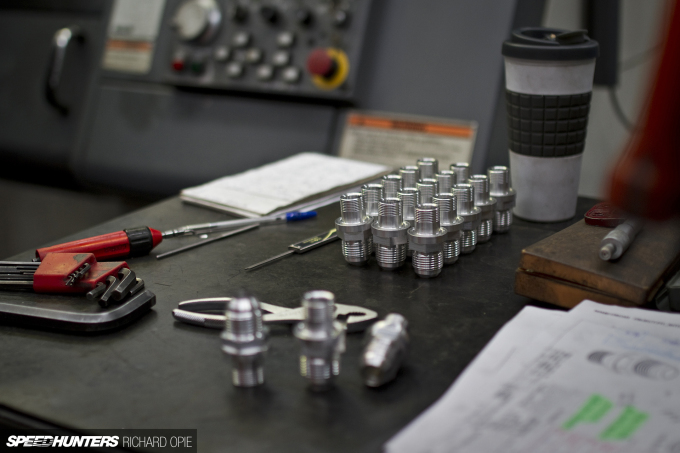 From the design office onwards, products naturally proceed to the prototype stage where they’re machined and then delivered to the metrology department early in the production process. In this particular shot a component is being checked for accuracy using a touch probe sensor, ensuring micron-precision which is essential for future production. Adjacent is the engine development room. 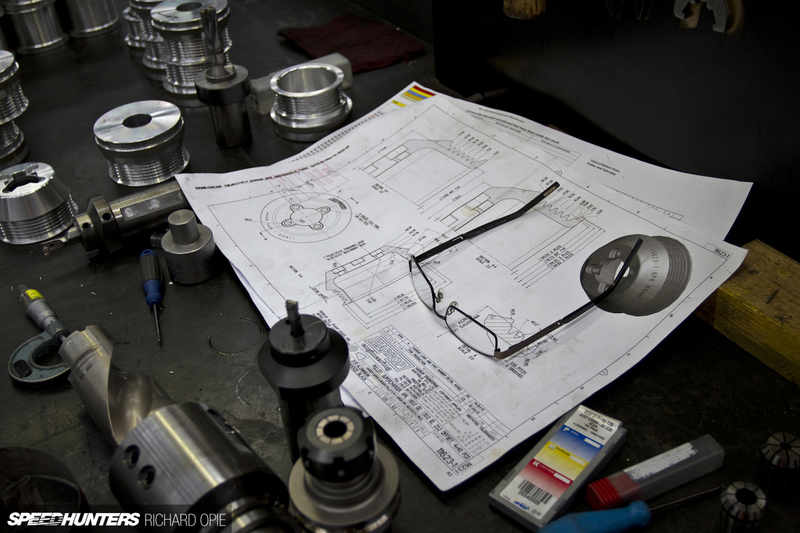 This space is where the Harrop team evaluate their products and develop their supercharger kits to work in harmony with the target engine package. 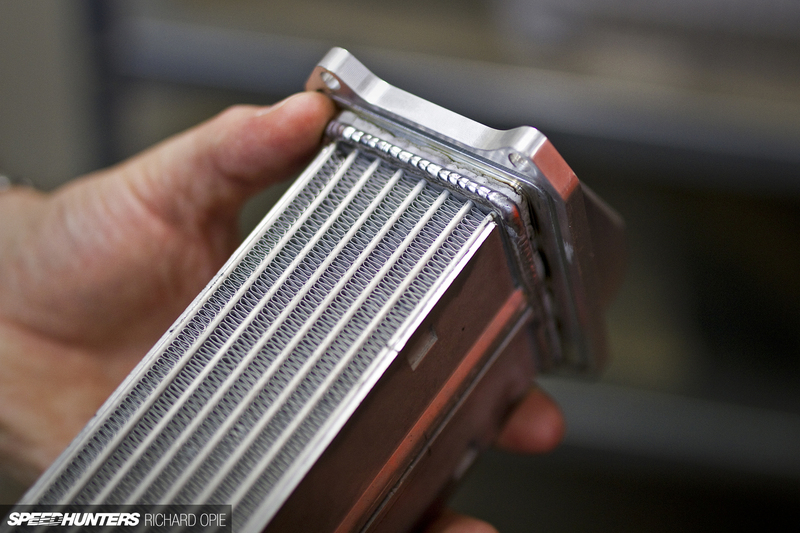 The above images shows the powerplant from their development E92 BMW M3 V8 kit, one of the most technologically advanced to date. 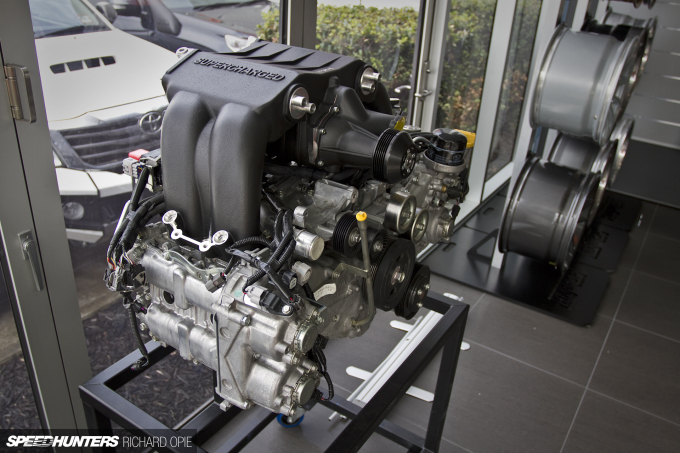 Highlighting the priority placed on thorough product development, their test car’s S65 V8 was apart for examination following some heavy track and dyno thrashing. 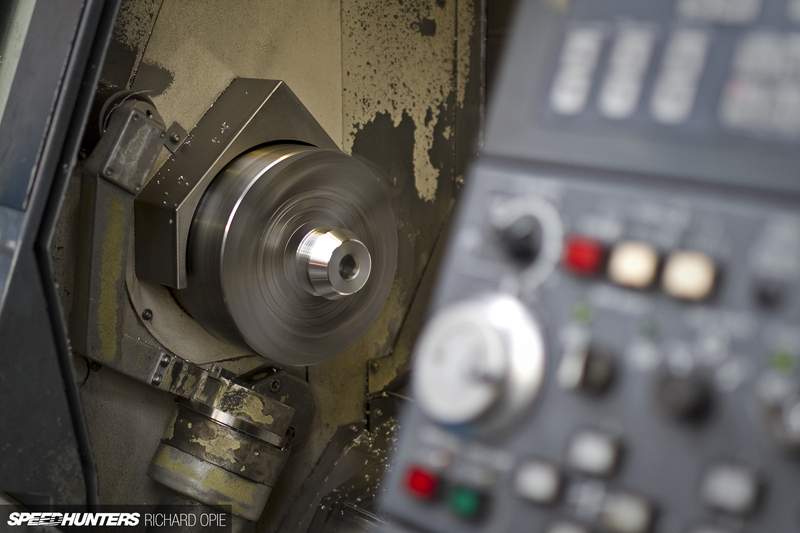 Among the machinery present on the shop floor, CNC lathe equipment is prevalent. 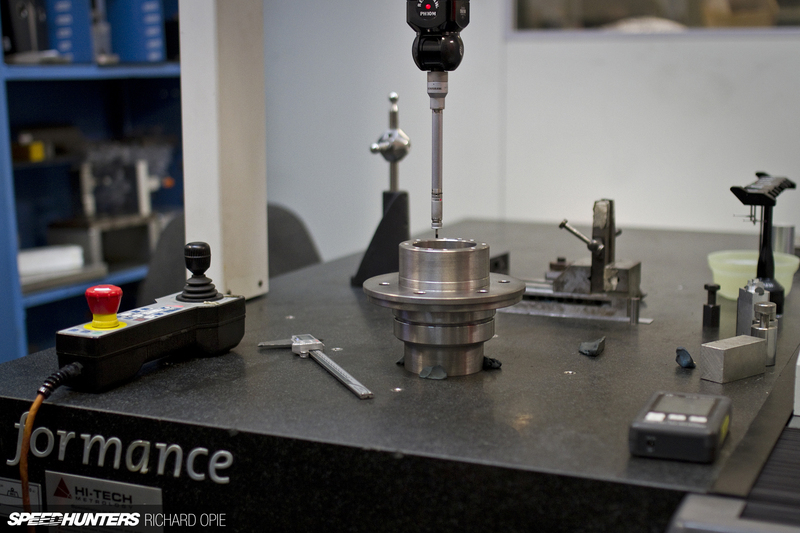 In this instance we were able to catch a stage of the process manufacturing one type of supercharger drive pulley. An example of product shipped in direct from Harrop’s own foundry include this line up of supercharger snouts, in their pre-machined, rough cast state. 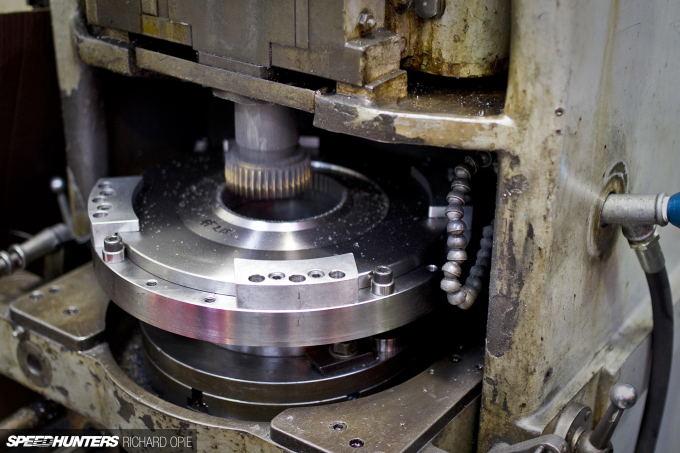 These particular items end up in one of the myriad of Harrop’s CNC mills, where the requisite surfaces are machined prior to final assembly. 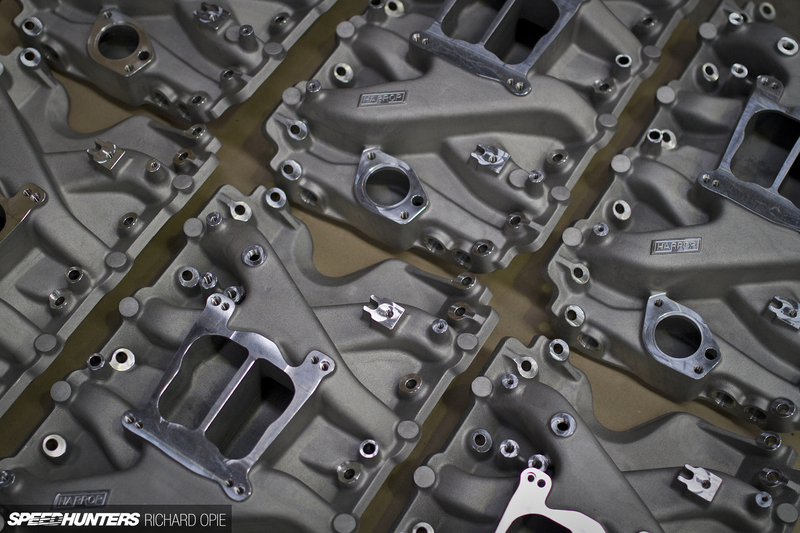 The supercharger housings are also clamped into jigs within CNC mills for machining. Exact tolerances are required in machining these housings, a process made easier and more importantly repeatable with the advent of automated machine tools. 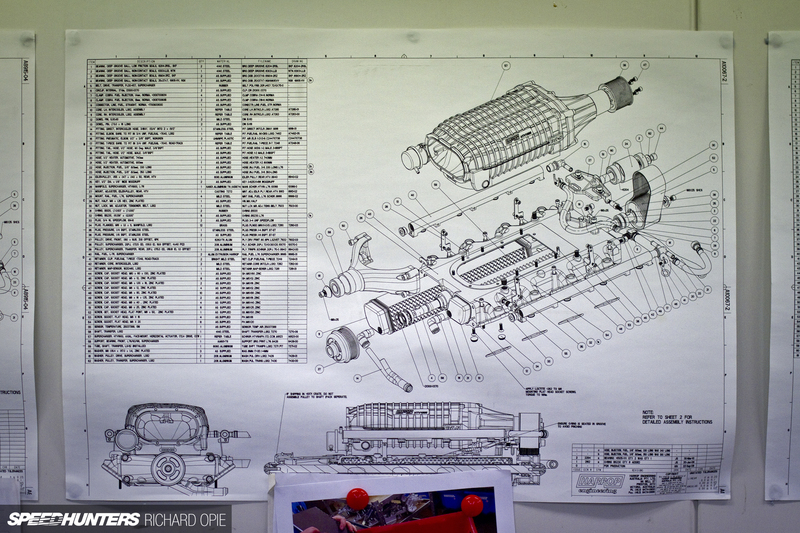 The assembly of the units typically requires a more human touch; the assembly area for the Harrop kits adorned with exploded diagrams illustrating the individual components of each offering. Here an intercooler core is fitted to a Toyota 86 kit; the precise tolerances involved were evident while watching the whole process unfold for a few minutes. Another lucky punter no doubt will shortly be receiving a much required increase in urge for their ZN6! 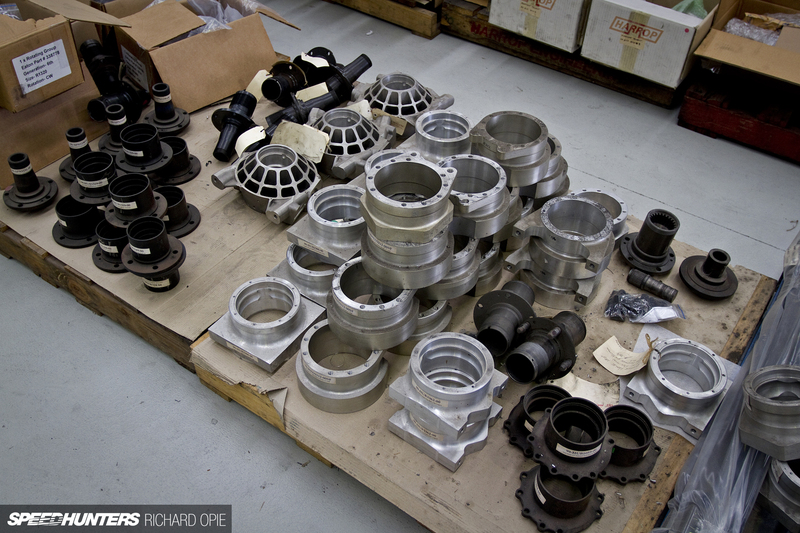 A particularly interesting room off to the side contained this arrangement, designed as a means of testing every individual superchargers to evaluate whether or not its performance is to specification. 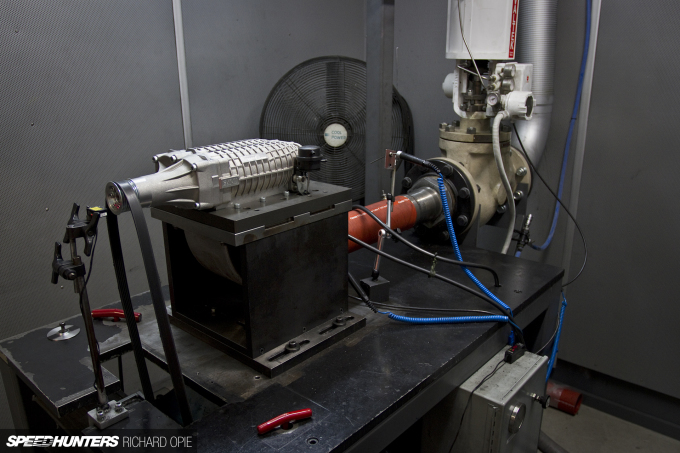 Blowers are spun to engine speed via a huge electric motor positioned beneath the test bench, while an array of instruments analyse any measurable parameter you’d care to name. It’s another means of ensuring solid quality control, and additionally a vehicle to test any product which may allegedly be faulty or require warranty assessment. Again, the human hand can’t be beaten when dealing with the small, finicky aspect of assembly. Located a bit further afield, a ‘Hurricane’ individual throttle body manifold to suit GM LS3 and LS7 engines was being pieced together. I thought I’d experienced a mild case of déjà vu when I clapped eyes on this setup, before remembering I’d seen one prior, bolted atop multiple NZ drift champion Gaz Whiter’s LS7 motivated S14 Silvia. And before you ask – yes, they sound incredible. If you wanted the ultimate expression of the human side of production machining, this combination typified engineering workshop life to me: a handbook dating back to the 1970s, and a transistor radio that would have been contemporary some time amidst the late 1980s. All signs of a machinist taking an element of satisfaction in their role, getting on with the job at hand. With the development of the OEM and proprietary product, the demand for a service offering the fitment, tuning and maintenance of the Harrop product became apparent in recent times, leading to a corner of the factory being converted into the Harrop Performance Centre (HPC). Kitted out as a capable performance workshop with an all-important high level of cleanliness, HPC oversees fitment of aftermarket kits to everything from brand new vehicles direct from the showroom to customer cars, be it a supercharged performance machine or a 4×4 looking to tackle a rocky incline. 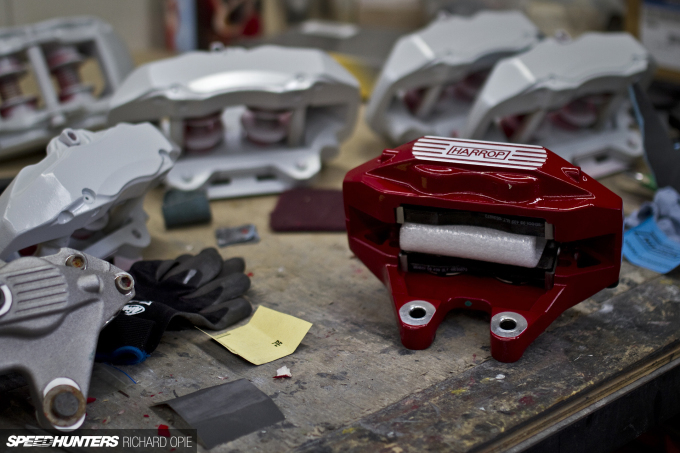 It’s complete with a well prepared tuning cell, equipped with an industry standard Dynapack hub dyno. Here we have a customer’s VF Commodore SS having its LS lump fitted up with a FDFI-type supercharger kit before being sent on its way. Like the VF Commodore providing taxi duties for yours truly, the Harrop team have also invested heavily in a range of impressive demo vehicles to showcase their capabilities. The aforementioned E92 M3 has been built up as a circuit car and will be familiar to anyone who attended the 2015 World Time Attack Challenge. There it competed in the Clubsprint class, recording a 1:48.579 lap time around the SMSP circuit. 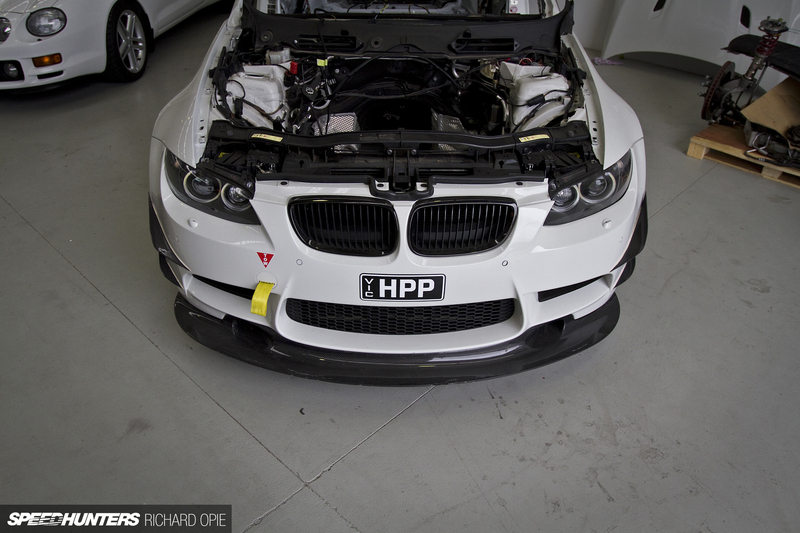 As detailed earlier, the engine is currently out being refreshed, but the BMW is receiving a host of changes in preparation for this year’s WTAC extravaganza, including the added safety of a full cage and further development in the chassis and drivetrain. With the booming growth in the 4×4 market, the requirement for a vehicle to best showcase Harrop’s prowess in this environment was deemed necessary. Enter the monster Land Rover creation, based on a traditional Defender model but now bristling with an arsenal of high performance, quality equipment. 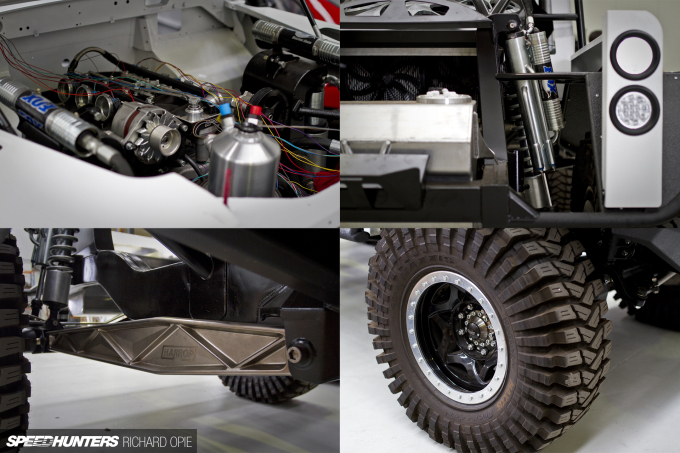 Not only does the Land Rover utilise an assortment of Harrop’s off-the-shelf product, it’s also a showcase of the engineering ingenuity and level of quality the business provides. The custom rear suspension arms, milled from a solid billet are indicative of the kind of one-off customer job that Harrop continues to undertake beneath the roof of the factory, despite the comparatively large scale operations in action day to day. 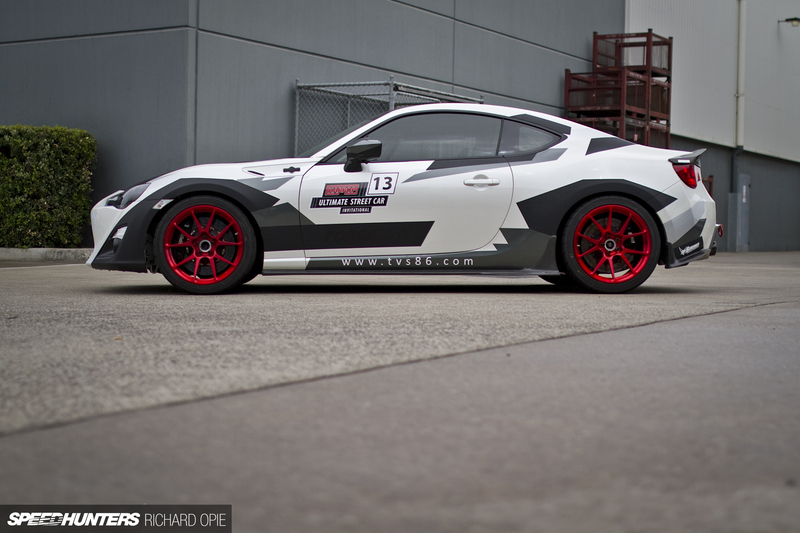 There was one car however, that made the boys’ eyes light up when its turn for discussion arose, and that was the demo GT86. 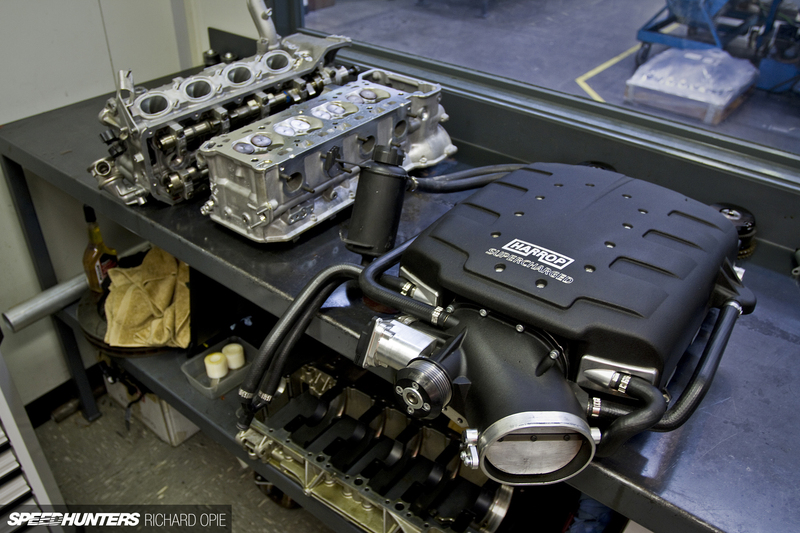 The Toyota is proud ambassador for the Harrop TVS1320 supercharger unit, developed in this instance alongside a bespoke manifold to suit the 4U-GSE (FA20) engine. Popping the bonnet, the uninitiated could be forgiven for thinking the kit was a factory option. That’s testament to the OEM feel to the finish, particularly the casting finish of the manifold, beneath which the actual blower itself is slung. 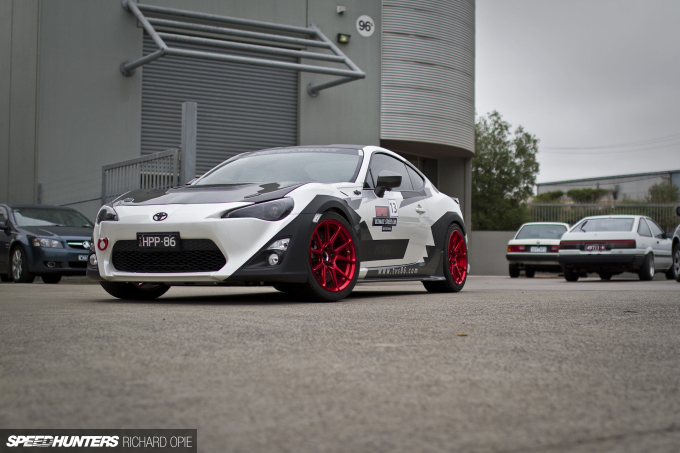 Not stopping merely at forced induction, the Harrop demo 86 is well equipped mechanically with an HKS 2.1-litre stroker kit, ACE tuned-length header and an HKS cat-back exhaust. The stance is functional, rather than a danger to the tarmac. 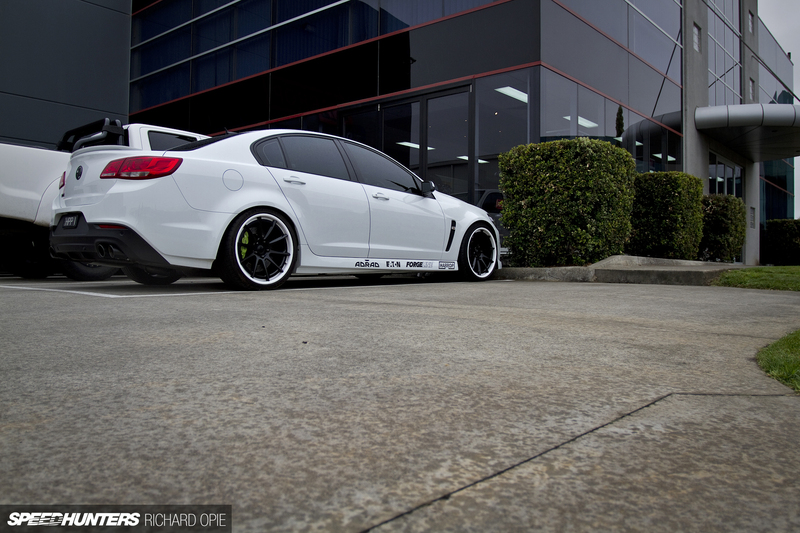 MCS adjustable platform coilovers keep each of the four stunning Forgeline GS1R wheels measuring 18×10-inches in the appropriate position for ultimate grip. Choice carbon fibre components from Victorian aero component specialist Topstage Composites alter airflow in favour of the 86, while Harrop dealt to the brakes with one of its own ‘Ultimate’ kits. 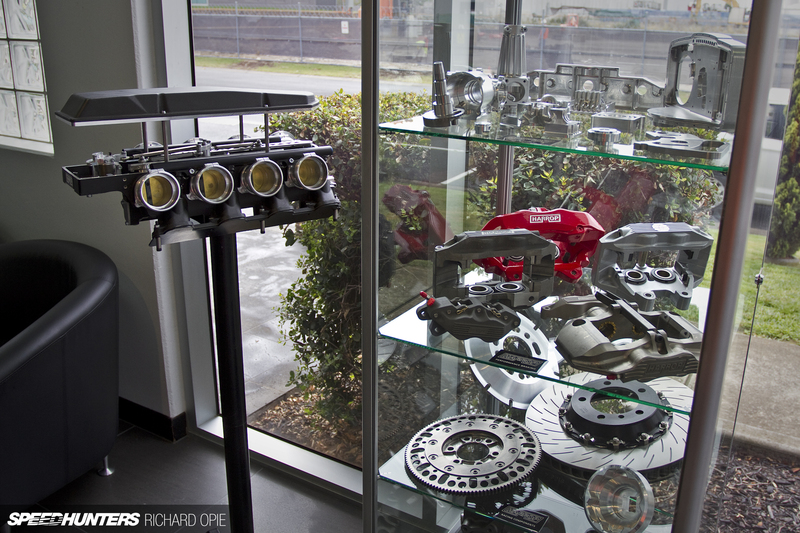 All of this was good enough for a 1:47 lap time around the SMSP circuit at WTAC last year in the Clubsprint category. There’s so much more that could be said about this place. It’s the proverbial candy store for the fabrication and manufacturing fascinated, but if there was one lasting impression that came away with me from the facility, it’s that the Harrop team are not here to sit idly on their laurels. The strive for quality, precision and importantly innovation was a very real vibe amongst the Harrop team, and if the current developments continue in the same successful fashion as the road travelled – be it a 4×4 traction product, a bespoke driveline component or a whopping great huffer strapped to a showroom engine – the company’s future is bright. To Heath, Andrew and the rest of the guys who took the time to show us around and answer a few questions – thanks, it was a fascinating opportunity that won’t soon be forgotten. 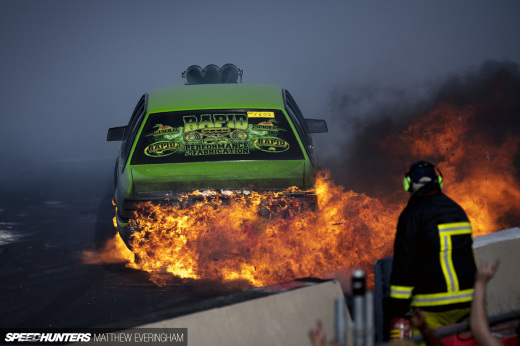 The green commodore is a VE not VF!! Rear taillights! Otherwise, awesome article! Awwwwwwweeee yeah, that's what I'm talking about. importfan "Foundry", was that mentioned? I didn't catch that. gt_dan Captain pedantic to the rescue! Somehow, each piece, even being created with mechanical purpose, seems to be part of a giant complex sculpture. Beautiful. Nice article, I remember going there many many years ago and old man Harrop - Len i think it was, was running the place and young Ron was there as well. Back then they pretty much did diffs and gearboxes. Must have been early 1980's, place looks very different now! nice phoats, impressive joint, need to go visit em. 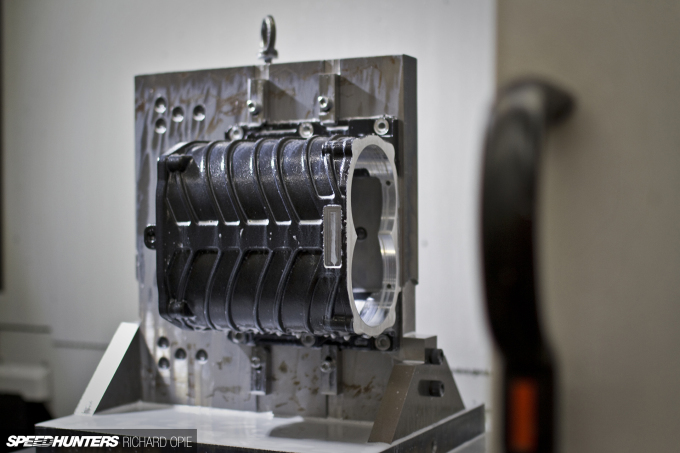 The 4x4 suspension arm is a casting not a milled solid billet. Chri5 Duncan incorrect, it is a milled peice. What an inspiring article. 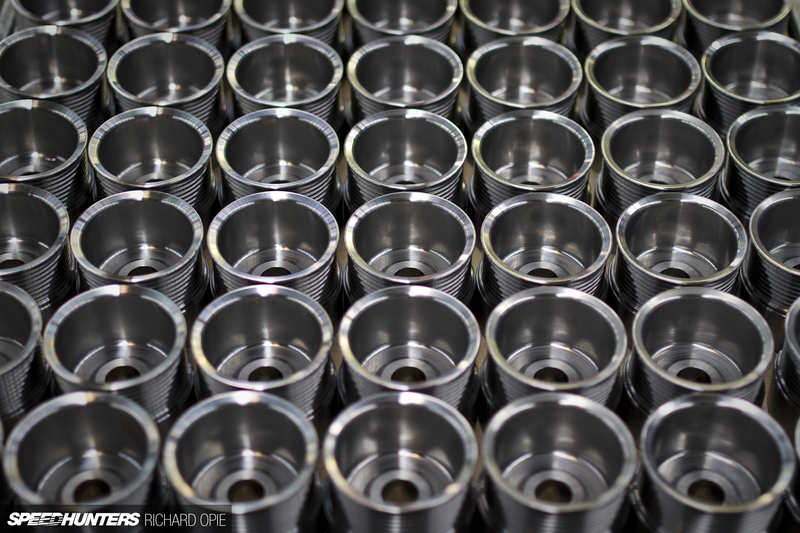 It always amazes me when you pay such close attention to producing a high quality car part it inherently looks like a work of art. 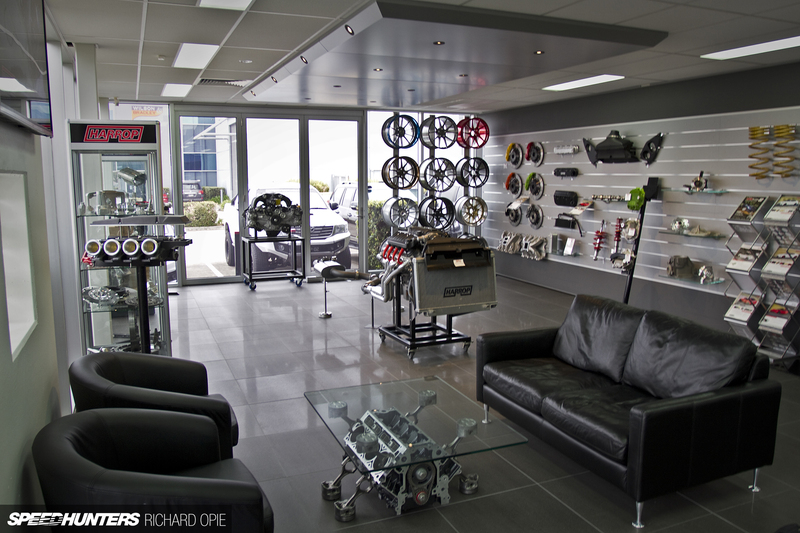 Hmm must get more car part furniture into the house.